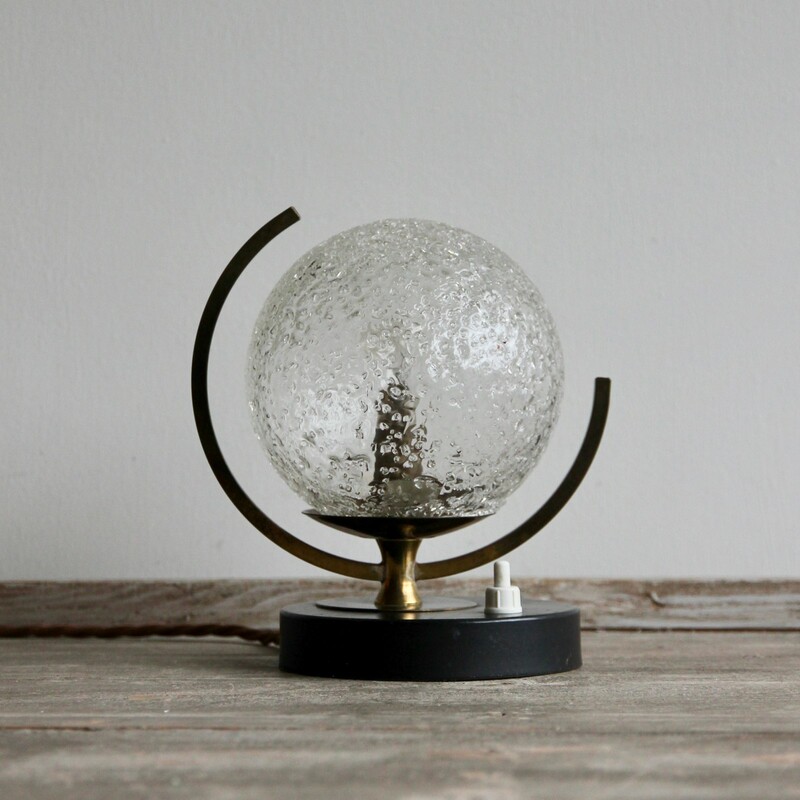 Stylish 1950s French textured globe lamp with working push switch. Rewired with dark brown braided flex to compliment the warmth of the brass. Uses SBC, B15 lamp.